Preston’s H.O.P.E. in Beachwood, Ohio has recently been named the 33rd best playground in America on the list of the 50 Best Playgrounds in America from Early Childhood Education Zone. 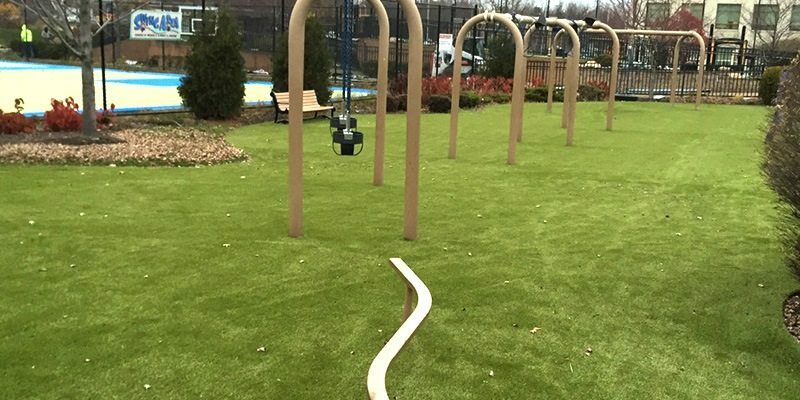 This playground is located at the Mandel Jewish Community Center in Beachwood, Ohio and is open to the public. The greatest feature of this playground is the Imagination Village comprised of make-believe houses, a school house, beauty salon, and more. This village is all connected by an elevated walkway that allows children in wheelchairs to access the play area as well. This expansive playground also features a Play Theatre with a stage, as well as many swings, slides, and tunnels. ForeverLawn Northern Ohio used Playground Grass to enhance this beautiful and unique playground. The playground originally had the pour-in-place rubber turf which can be hard to clean and may facilitate hard falls. 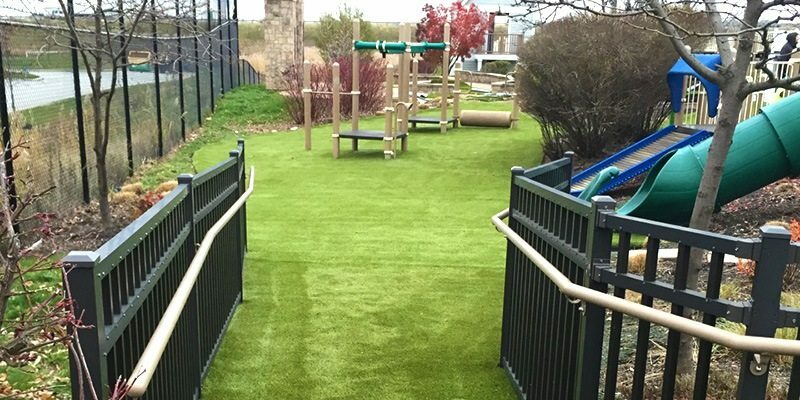 Our amazing team at ForeverLawn Northern Ohio replaced that rubber surface with Playground Grass Ultra which has antimicrobial and antistatic protection. 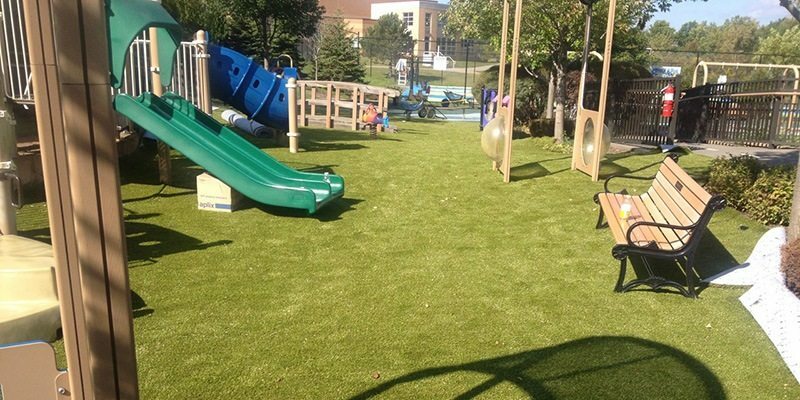 With it’s realistic properties, Playground Grass Ultra greatly enhanced the look of the playground. Now parents can watch their kids play without worrying about injuries or being in an unclean environment.